Improved. Lenovo redesigns its entry-level ThinkPad and equips the business notebook with a new case as well as a processor from Intel's current Haswell generation. Despite the price well below 1,000 Euros (~$1383), the device is supposed to keep up the ThinkPad impression and also meet the related requirements. Our review shows if it was a success. 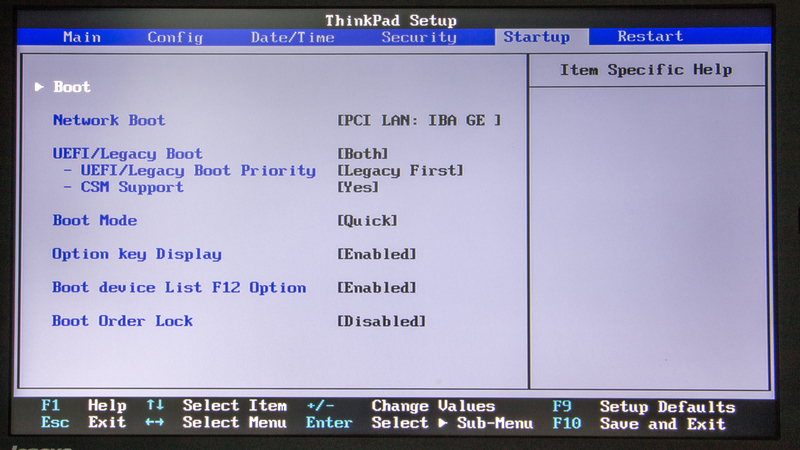 Lenovo's ThinkPad L540 (20AV002YGE) is a revised version of the ThinkPad L530. The series is a comparatively inexpensive entry into the ThinkPad portfolio. The manufacturer not only upgraded the hardware of the new model, but also redesigned the case once again. The business notebook is available in two versions. The cheaper configuration retails for around 590 Euros (~$816). It is very similar to the more expensive version, but uses a slower Intel Core i3-4000M processor, a lower resolution display, a cheaper WLAN module as well as a non-professional version of Windows 8. A fingerprint reader is not available, either. Our review unit is the more expensive version with an Intel Core i5-4200M, a matte Full HD panel and the user can decide if he wants to use Windows 7 Professional or Windows 8 Pro. Lenovo offers this package for an RRP of around 862 Euros (~$1192). Both versions can also be customized with faster components, software as well as warranty upgrades. You will obviously have to pay additional charges and the price can quickly pass the 1,000 Euros (~$1383) mark. 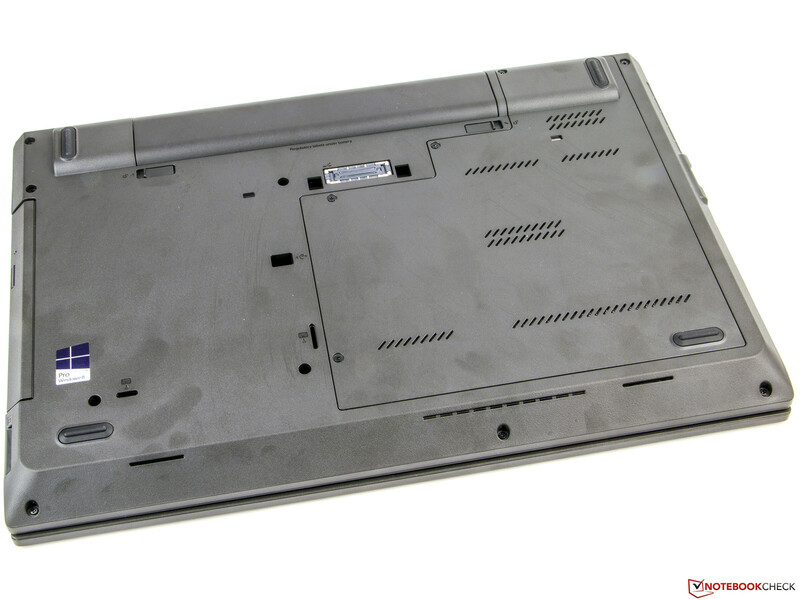 We use the Dell Latitude E6540 for the comparison. Our review unit was equipped with more powerful components, but you can also get less expensive versions with slower hardware for around 1,000 Euros. Another rival is the HP ProBook 650 G1 with a slower Core i3, but otherwise similar hardware equipment. Fujitsu offers good devices as well with the E743 and E753. 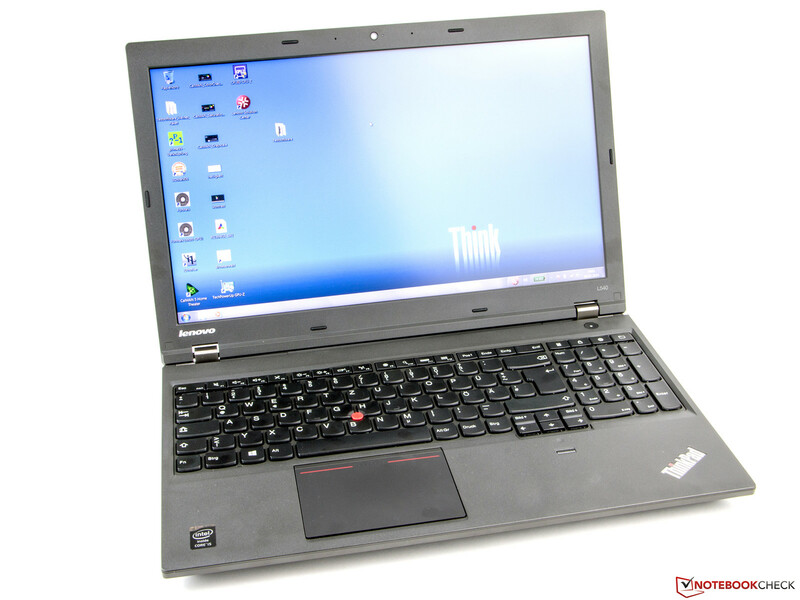 The former only has a 14-inch display and the latter was better equipped, but the E753 is also available in less expensive configurations. Maximum opening angle above 180 degrees. The display hinges are very robust and reliable. 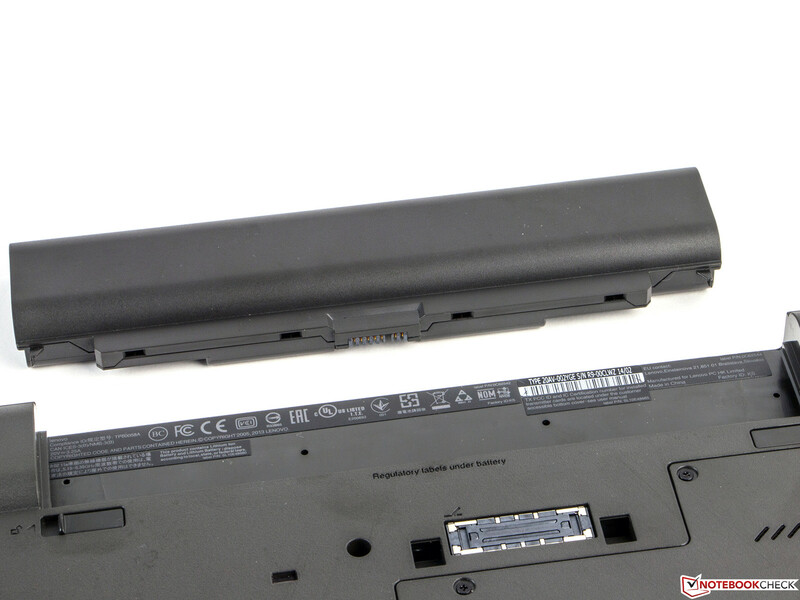 The anthracite-colored case of the Lenovo ThinkPad L540 is completely made of plastic, but the slightly roughened surfaces still leave a good impression. 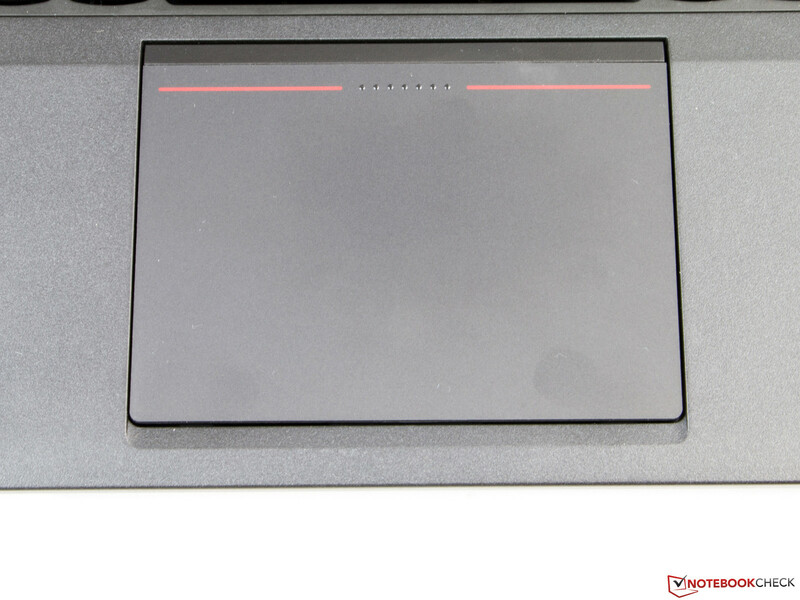 Similar to the T440s there is a ThinkPad branding on the display cover with an illuminated red dot above the i. The overall design reminds us of the bigger siblings in general; the differences are in the details. You can twist the lid with some force and concentrated pressure on the back does result in slight picture distortions. However, other notebooks usually have more problems in this section. It is impossible to twist the base unit and there are no creaking noises either. The lack of gaps is exemplary. The build quality is very clean and accurate everywhere. The silver display hinges are still made of metal and keep the display in position well. We just determined a slight bouncing with vibrations. The ThinkPad L540 weighs 2,321 grams (~5.1 pounds), which is 300 grams (~0.66 pounds) lighter than its predecessor. It is also a bit thinner. 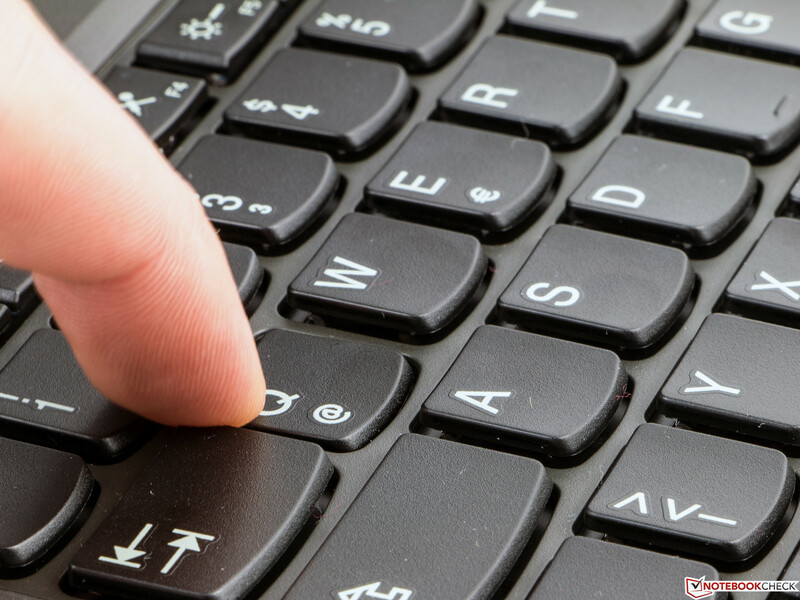 The keyboard is spill-water resistant and the device was tested according to the MIL-STD, which includes high pressure, humidity, vibrations, high and low temperatures, temperature changes, low air pressure (equivalent to a height of 4,500 meters; nearly 15,000 feet) and dust. Lenovo's engineers did a very good job and optimized the notebook. 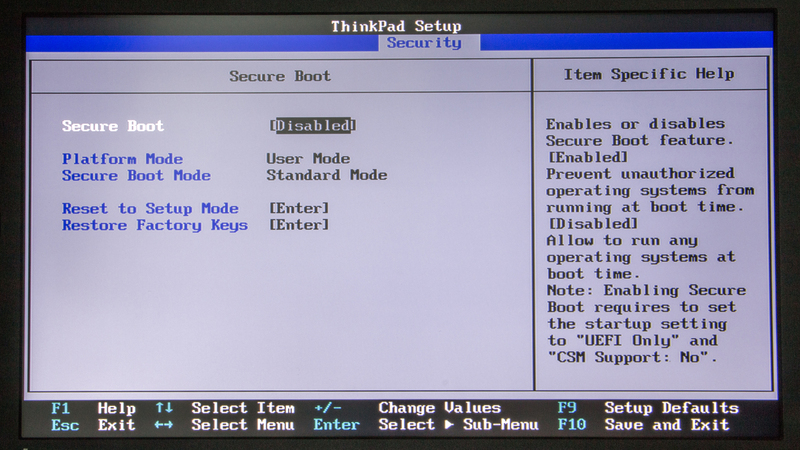 The port variety of the Lenovo ThinkPad L540 is very comprehensive. The ExpressCard slot does accept both 54 and 34 mm wide cards. You get four USB ports, but only one of them supports the current 3.0 standard. 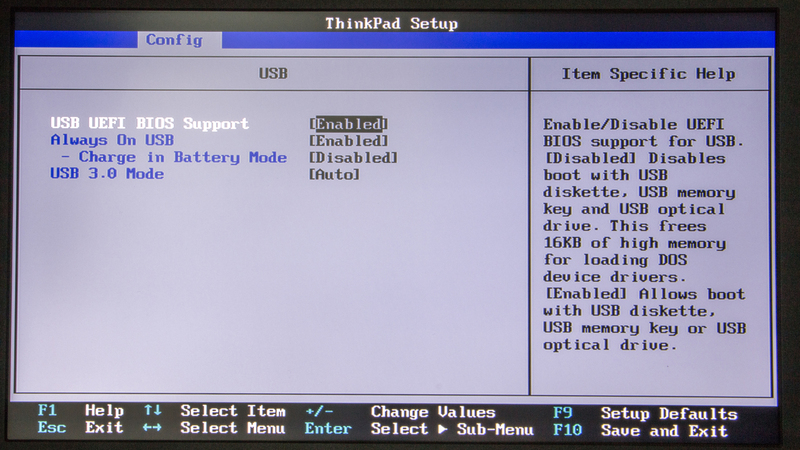 This port also supports charging when the device is turned off, at least if you activate the feature in the BIOS. The card reader supports all the common standards (MMC, SD, SDHC, SDXC) and integrated cards are almost flush with the case. The locking mechanism is also very reliable, so you can leave a card inside the slot without any concerns that it will fall out. The optical drive reads and writes all kinds of DVDs. The port layout is crowded, especially on the left side of the case. 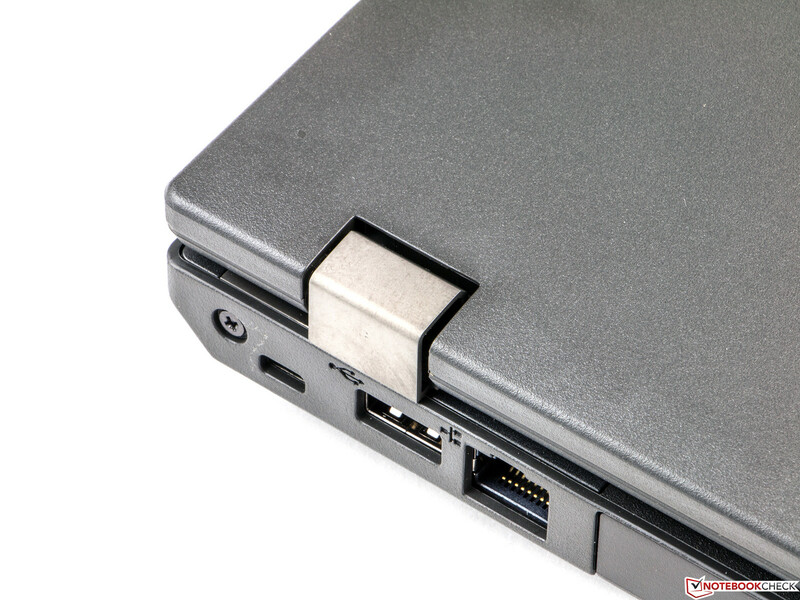 You might block the USB 3.0 port when you use the ExpressCard slot. We do however like the position of the Ethernet port at the back. 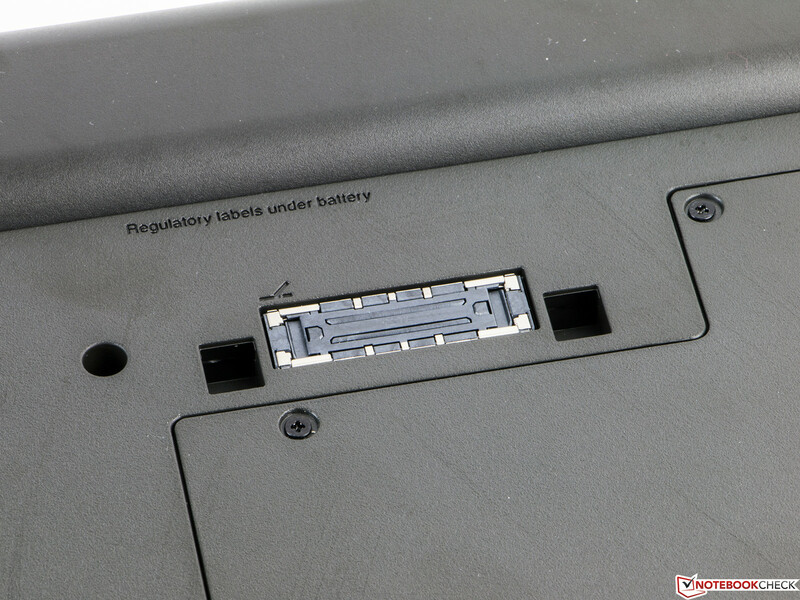 You can also use the docking port at the bottom if the available ports are not sufficient or if you want to connect the device very quickly with peripherals and networks. A SmartCard reader is available as an option. No ports at the front. 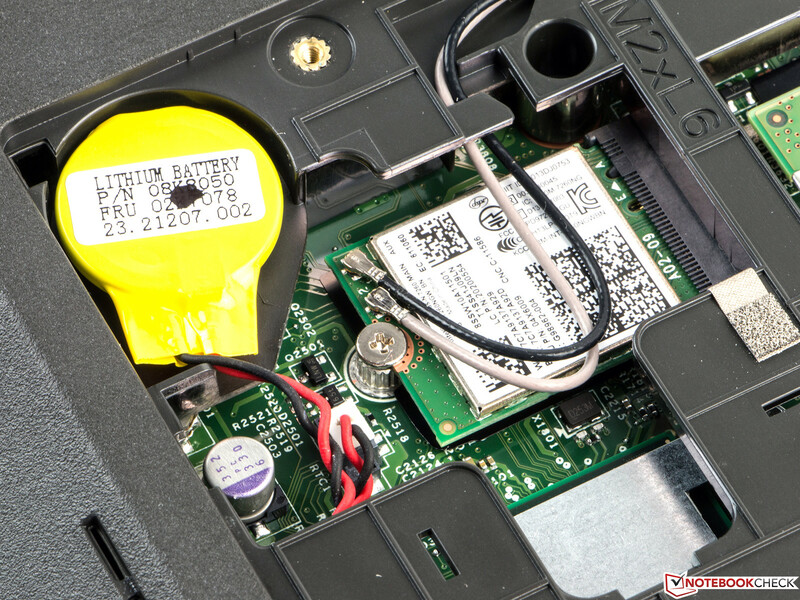 The Lenovo ThinkPad L540 can communicate with networks via Ethernet cable and via WLAN. The Gigabit port works very well and does not cause any criticism. 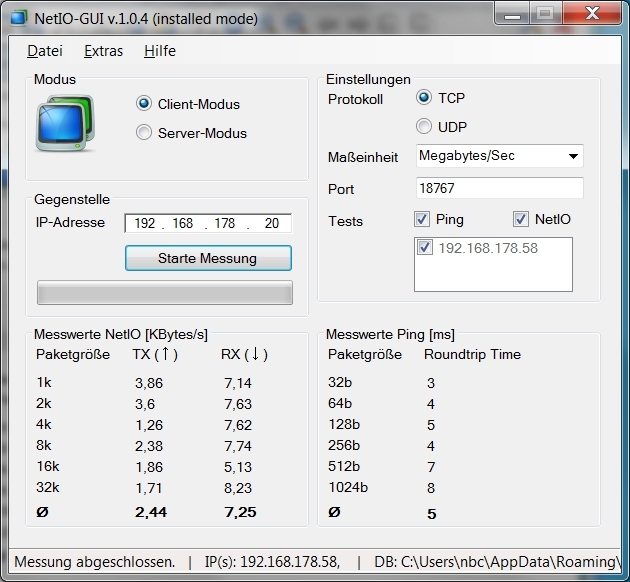 We tested the transfer rates in our individual setup with the tool NetIO. Data packages were transmitted between the notebook and a desktop PC over a Gigabit switch. 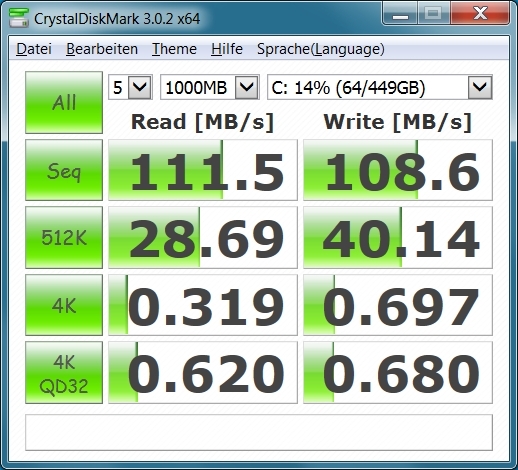 The L540 managed up to 111 MB/s. 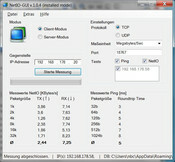 Intel provides the Wireless-N 7260 WLAN module. It supports the IEEE-802.11 standards b/g/n in 2.4 GHz networks. 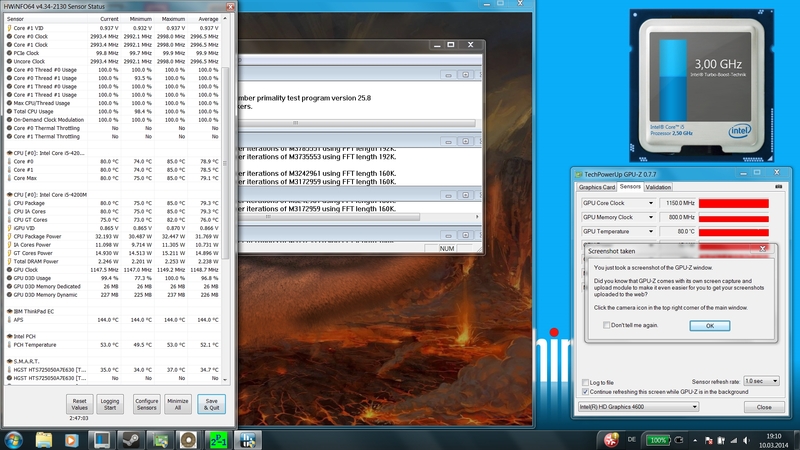 Even though you cannot use 5 GHz networks, the range is still good. 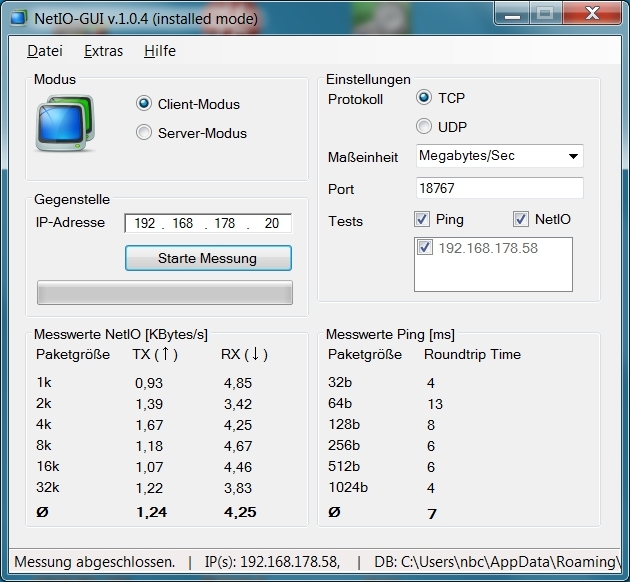 Our L540 managed decent transfer rates with a distance of 2.5 meters (~8.2 feet) from the router (Fritz!Box 6360). The reaction times increased at 10 meters (~33 feet), but that was hardly noticeable during web browsing. Windows still indicated a good signal quality with a distance of 20 meters (~66 feet), and websites opened with a slight delay. An HSPA+ modem is also available for the L540 as an option and Bluetooth 4.0 is supported as well. 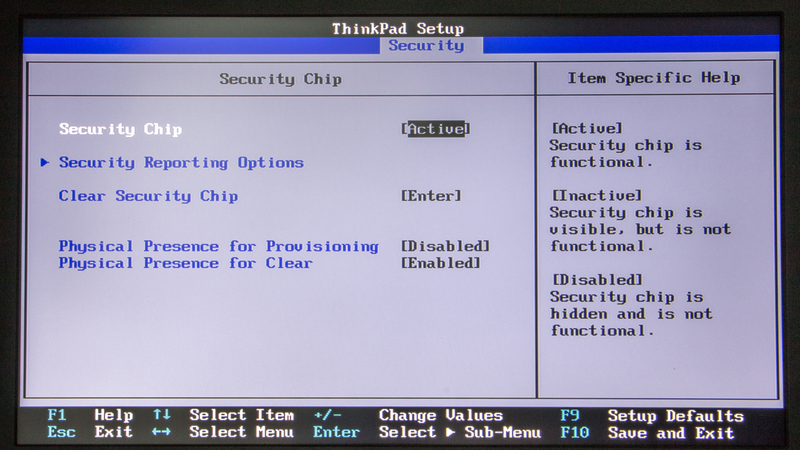 The ThinkPad L540 has several security features. Besides a fingerprint reader, you also get Intel's Anti Theft. Secure Boot is deactivated ex-works. Users of Windows 8 Pro can also use TPM 2.0 and BitLocker drive encryption. 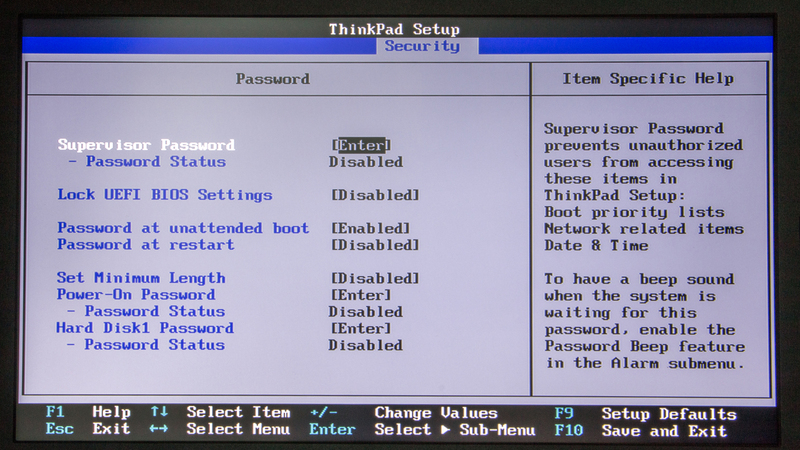 The BIOS has numerous options for passwords and settings; a SmartCard reader is available as an option. 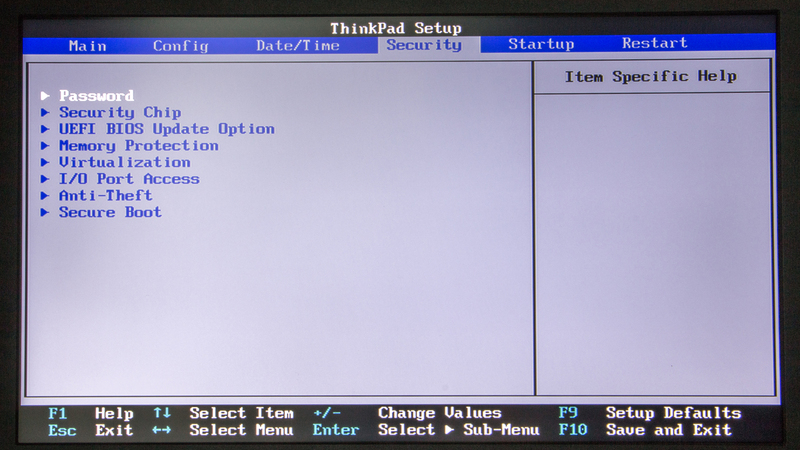 The provided accessories of the Lenovo ThinkPad L540 are not very generous. Besides four recovery DVDs for Windows 8, you only get a quick start guide with information about security, warranty and the setup. The power supply unit has a nominal output of 65 Watts (20 V, 3.25 A). 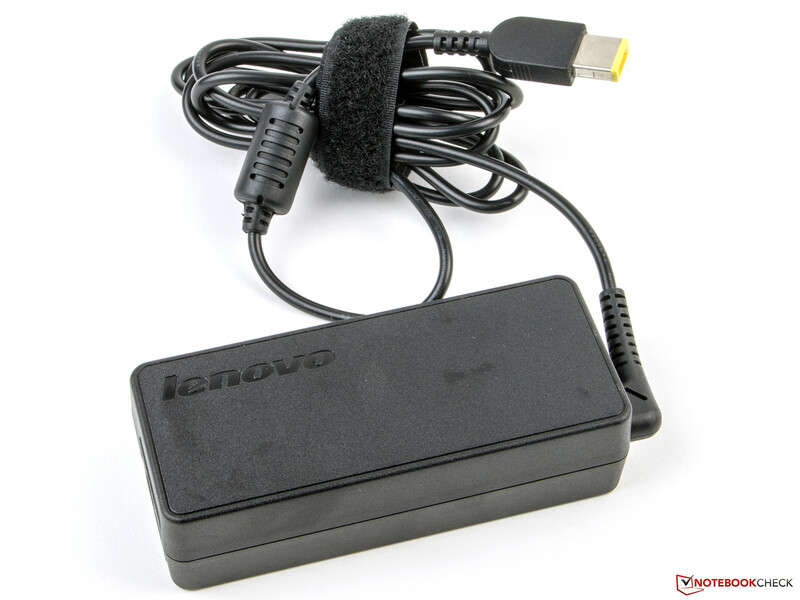 Lenovo also offers a docking station as well as several bags and backpacks for the notebook-series. There are also universal accessories like headphones and Kensington Locks. 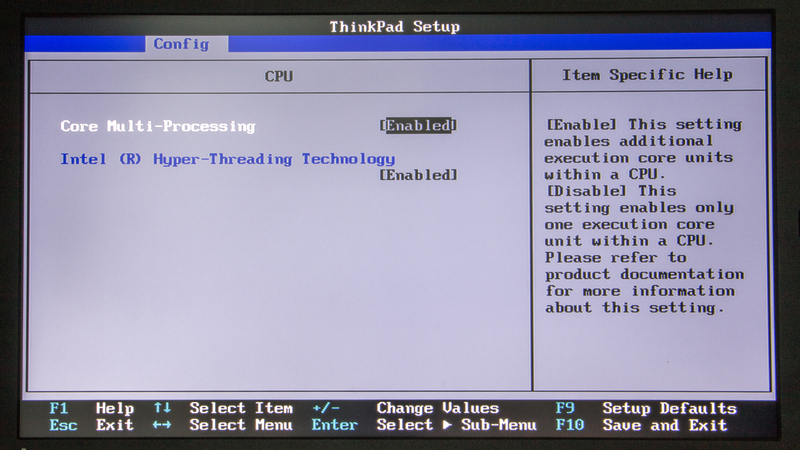 Maintainability of the Lenovo ThinkPad L540 is good. The bottom has a maintenance cover, which is very easy to remove. 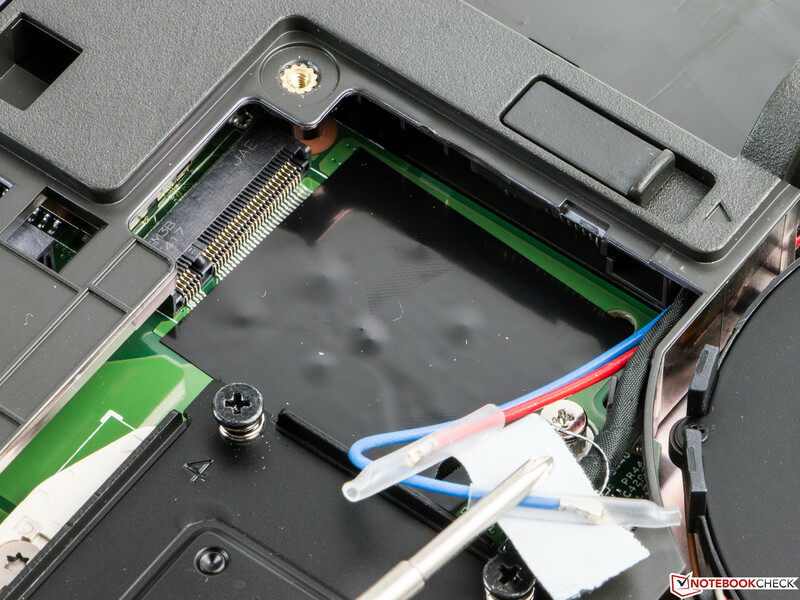 It grants access to the most important components, including the CMOS battery and you can also clean the fan. Removing the battery is very easy. After the removal, you have access to the mini SIM slot. Upgrading a WWAN module or SSD via M.2 slot (42 mm) is very simple since everything is already prepared. One of the two memory slots is empty and you can integrate up to 16 GB RAM. Lenovo only grants a standard warranty of 12 months for the notebook, but you can extend this period with several service packages (starting at 51 Euros; ~$71). This means you can get up to three years with on-site service on the next business day and accident protection (275 Euros; ~$380). 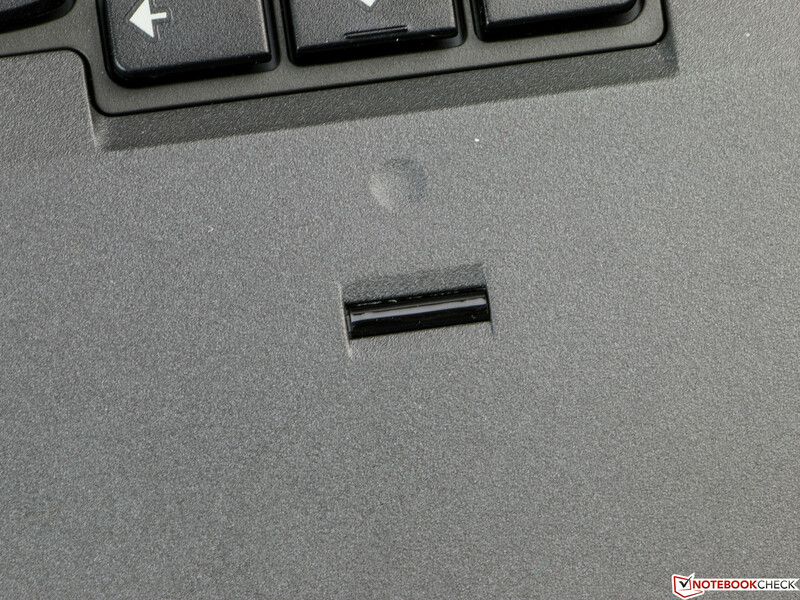 The chiclet keyboard is standard for Lenovo ThinkPads by now. The keys are generously sized and slightly concave. Only the arrow keys are a bit crowded and might result in some occasional mistypes. The key travel is also comparatively large, but the pressure point is still well defined and produces a very good haptic feedback. The typing noise is hardly audible at the same time. The keyboard is very firm and bounces slightly only under a lot of pressure. You also get a full-size numeric keypad, but the manufacturer decided to waive background illumination. 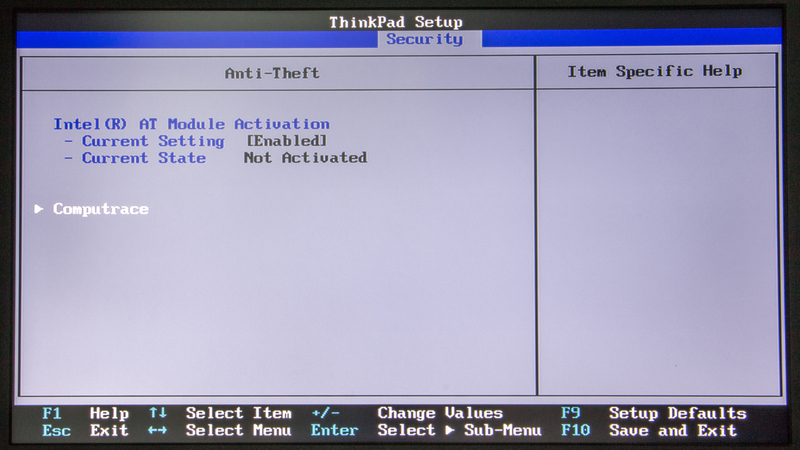 All in all, a great input device that we already know from other ThinkPads. 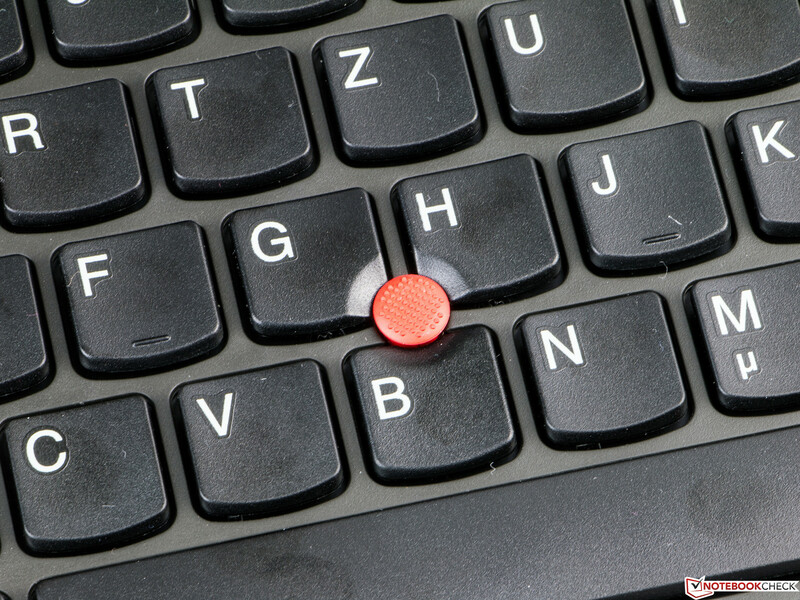 Besides a touchpad, the L540 also has a TrackPoint. The latter reacts very precisely and reliably. The touchpad measures 100 x 75 mm (~4 x 3 inches), which is pretty generous and identical to the touchpad of the ThinkPad T440s. It completely convinced us in regard to the gliding capabilities and precision. The pressure point of the mouse buttons is long, but very smooth and provides a precise feedback. The display convinces with high luminance and a matte surface. The Lenovo ThinkPad L540 uses a 15.6-inch Full HD panel (1920x1080 pixels) with a matte surface. This results in an aspect ratio of 16:9 and a pixel density of 141 ppi. The panel has the designation Innolux N156HGE-EA1; the picture is razor-sharp and the screen estate is conveniently big. We measured an average brightness of 290 cd/m²; the brightness distribution of 85% is okay. 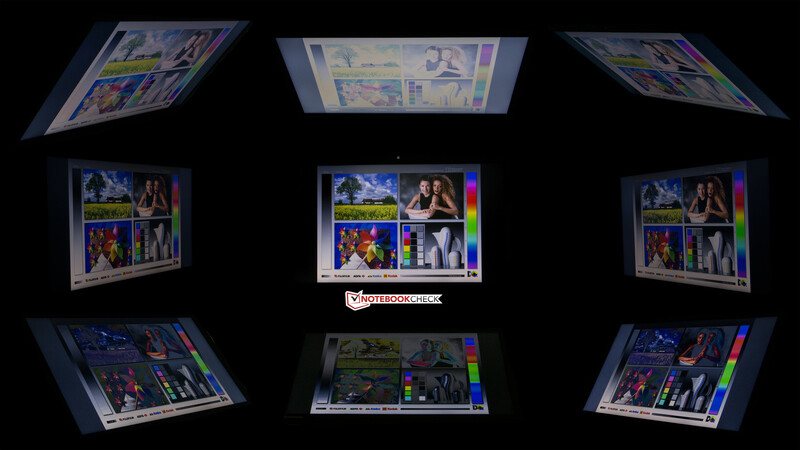 We could not determine any screen bleeding, but colors distort fairly quickly when you change the viewing angle. The brightness is not reduced on battery power. The rivals are no better, either. Dell's Latitude E6540 (292 cd/m², 83%) is very similar and the ProBook 650 (186 cd/m², 82%) is significantly worse, especially in terms of luminance. The latter also has a lower resolution of 1366x768 pixels. The black value is high with 0.7 cd/m² and the contrast ratio is just average with 433:1. 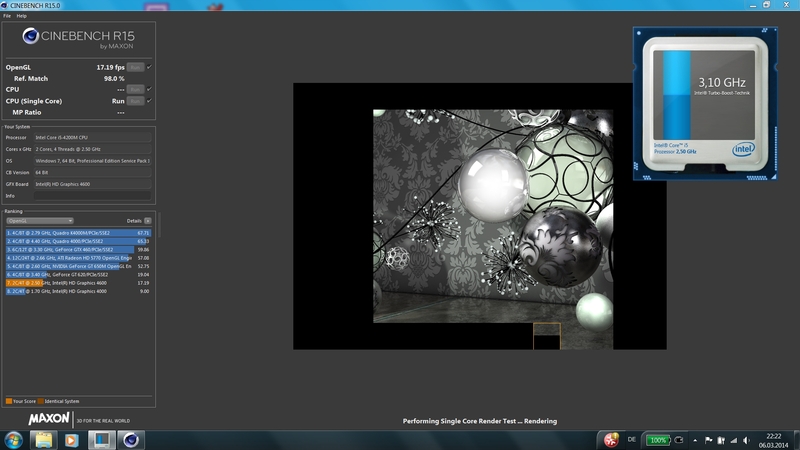 The rival from Dell (0.4 cd/m², 721:1) is slightly better in this section. 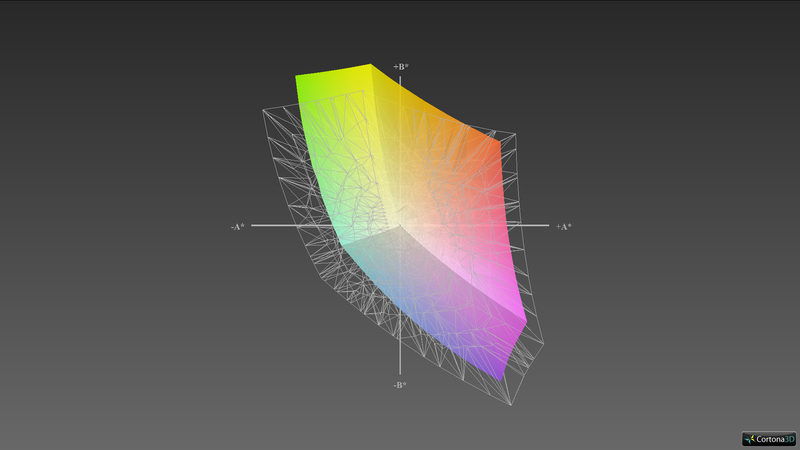 The RGB balance shows big deviations for the color blue. Especially the grayscale presentation shows a distinct blue cast. Pure white on the other hand has a slight red hue. 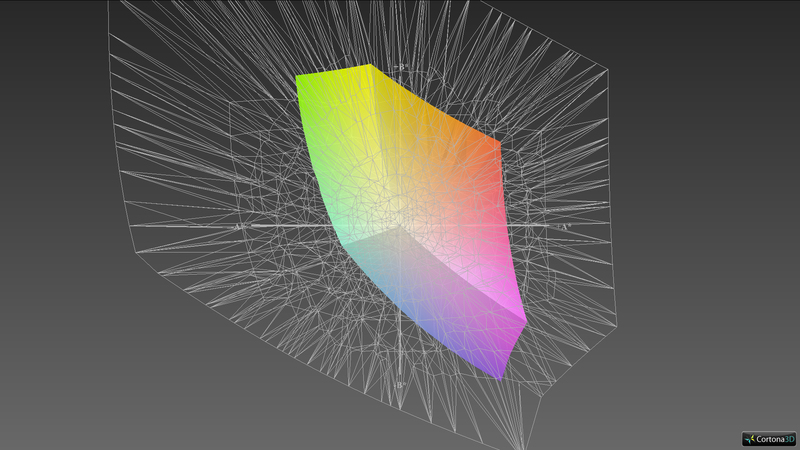 This is ex-works, but the situation can usually be improved by a calibration. The DeltaE value also shows a large deviation with an average result of 13. 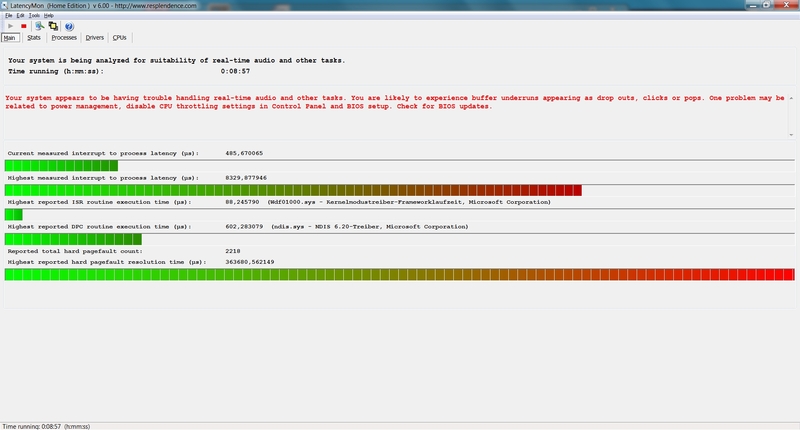 The ColorChecker result supports the bad color presentation with an average DeltaE value above 11 and even 20 in some cases. Luckily, this is an office notebook, so the color accuracy is not the most important feature, but our measurement results are still pretty bad. The ProBook 650 is very similar in this regard, only the Latitude shows a good performance ex-works with DeltaE values of 6 or lower. 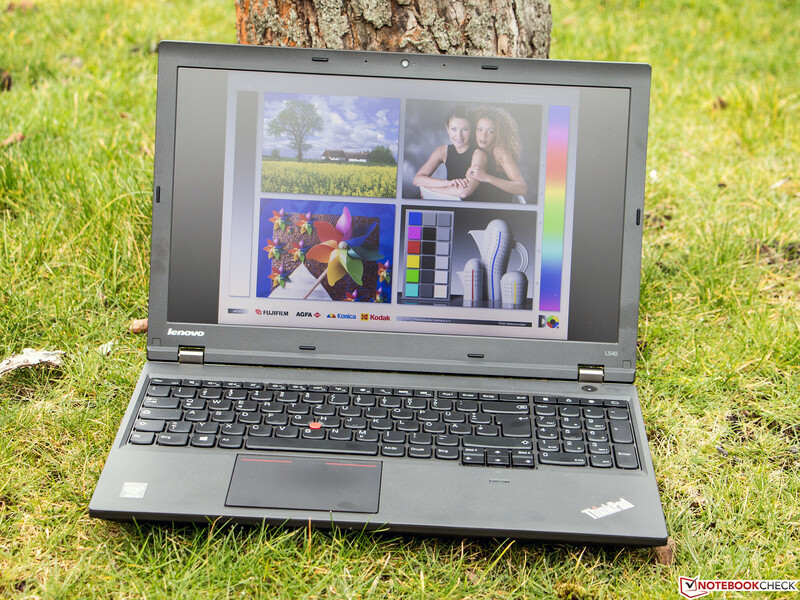 The ThinkPad L540 works pretty well outdoors thanks to the matte display surface and the comparatively high luminance. Using the notebook in bright environments is therefore no problem. Even operation under direct sunlight is possible, even though it will be tiring for the eyes after a while. 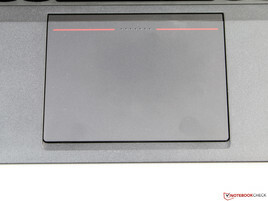 Viewing angles are not a strong suit of the TFT panel inside the Lenovo ThinkPad L540. Changes in the vertical viewing position quickly result in inverted colors and a reduced brightness. It is therefore necessary to adjust the display position occasionally when you use the notebook on your lap. The situation is much better with horizontal shifts, but the picture will get darker as well when the angle is too wide. 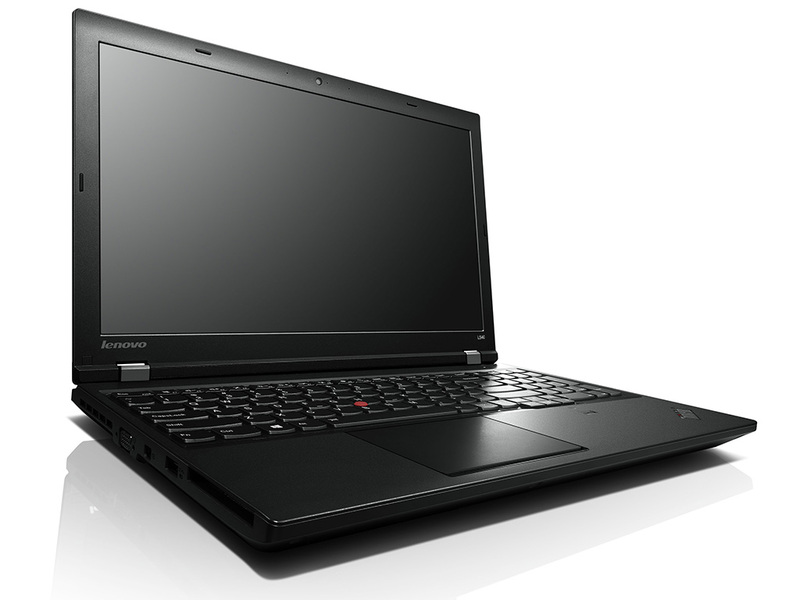 The more powerful configuration of the Lenovo ThinkPad L540 uses at least an Intel Core i5-4200M (up to 3.1 GHz). This is also the processor of our review unit, but you can configure faster versions such as the Core i5-4300M (up to 3.3 GHz) or 4330M (up to 3.5 GHz). 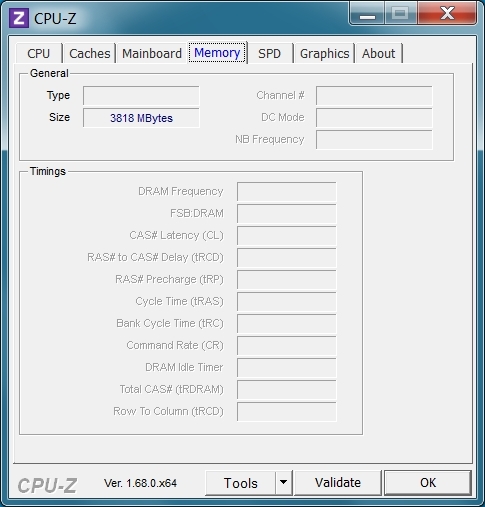 4 GB DDR3L memory can also be upgraded to 16 GB ex-works. 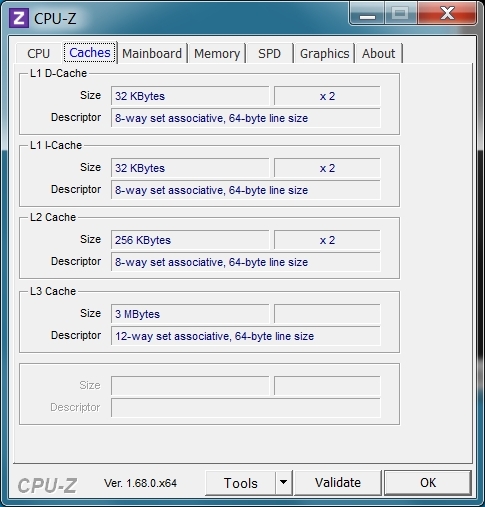 We recommend at least 8 GB RAM in a dual-channel configuration to improve the performance. Our review unit was not able to run the benchmark SPECviewperf 12 (at least 8 GB) because of the limited amount of memory. 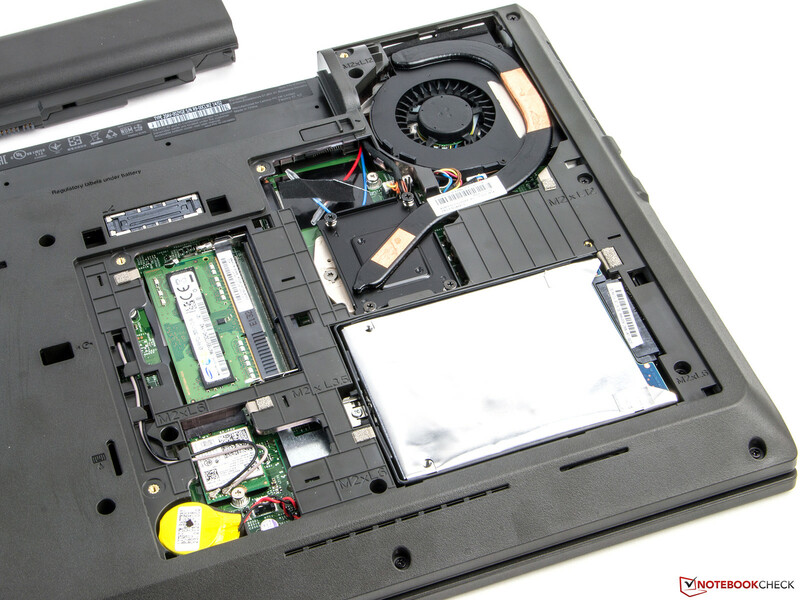 The heart of the Lenovo ThinkPad L540 is a Core i5-4200M from Intel's current Haswell generation. 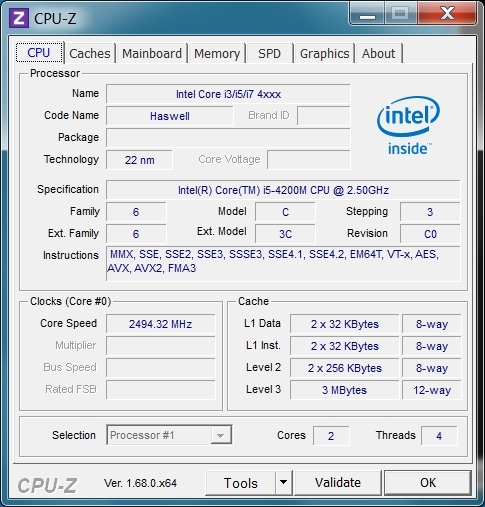 The CPU has a nominal clock of 2.5 GHz for each of its two cores. 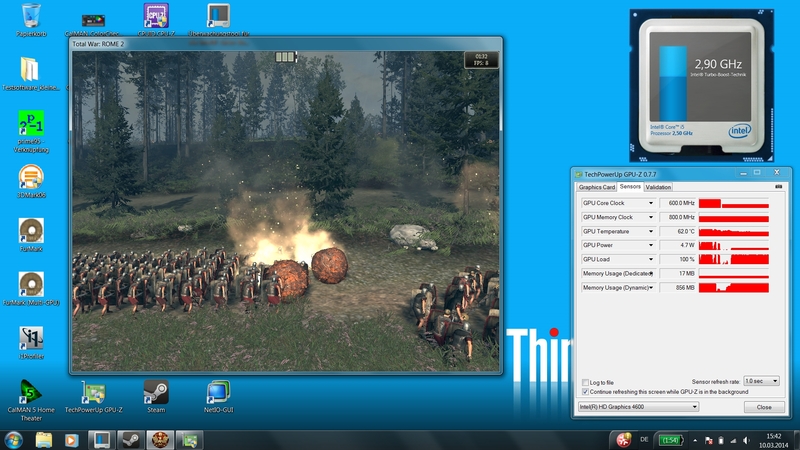 It supports Hyperthreading and can execute up to four threads simultaneously. The clock can be raised up to 3.1 GHz (single-core) or 3.0 GHz (multi-core), respectively, via Turbo Boost 2.0. Cinebench R15 determines the expected results for this processor: 115 points in the Single-Core test and 294 points in the Multi-Core test. The Core i3-4000M inside the ProBook 650 is around 18% slower because of the missing Turbo Boost. 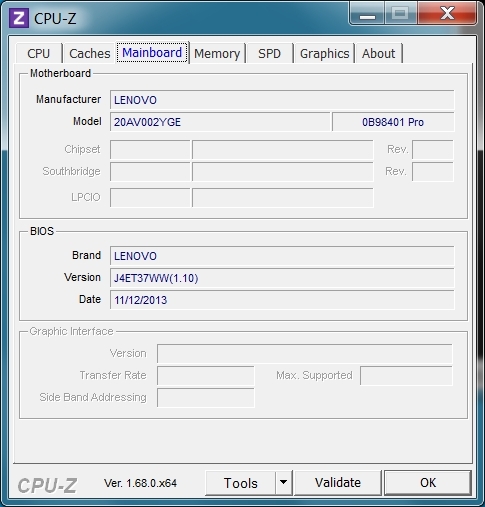 However, the review unit cannot keep up with a quad-core processor, for instance, in the LifeBook E753 (Core i7-3632QM, R15 Multi-Core: 519 points). Fortunately, the processor performance is not reduced on battery power. 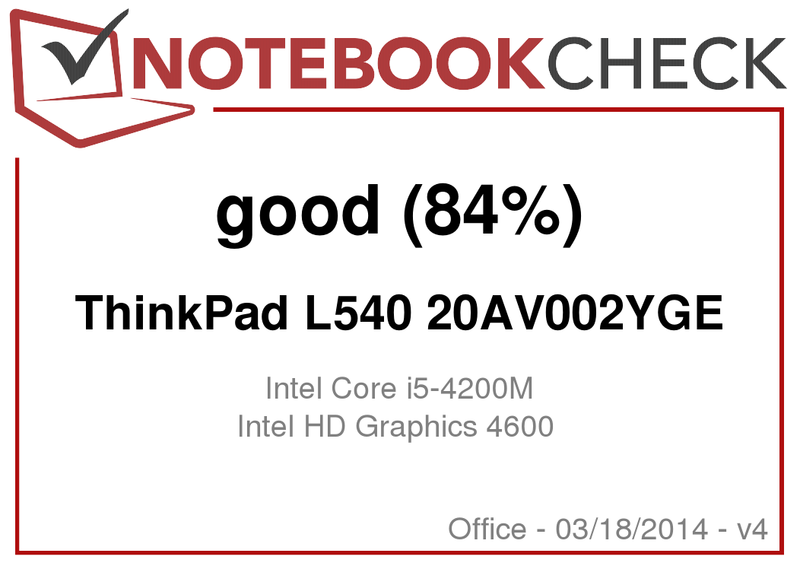 The Lenovo ThinkPad L540 gets a decent result in system performance. PCMark 7 determines 2,805 points, which is ahead of the HP ProBook 650 (2,569 points) with a weaker CPU. 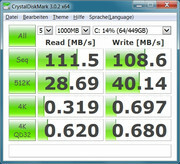 The Wortmann 1529H has the same processor and graphics card, but the result is much better because of the fast SSD. Systems with the fast flash memory get higher scores than systems with conventional hard drives in general. 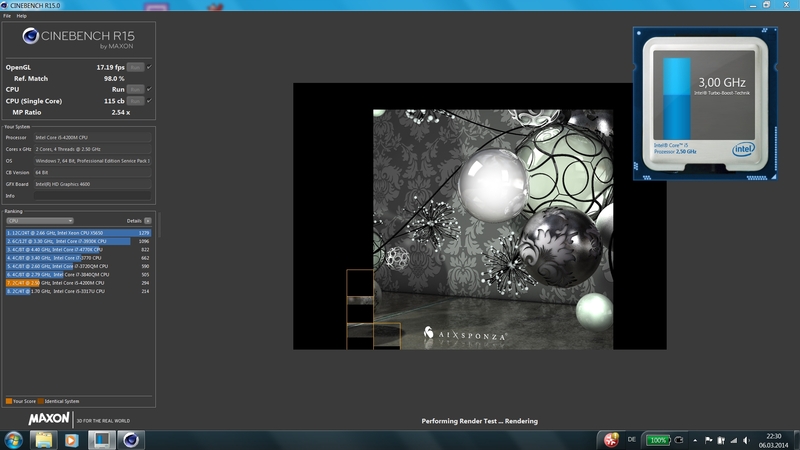 The subjective system performance with Windows 7 Professional however is good. 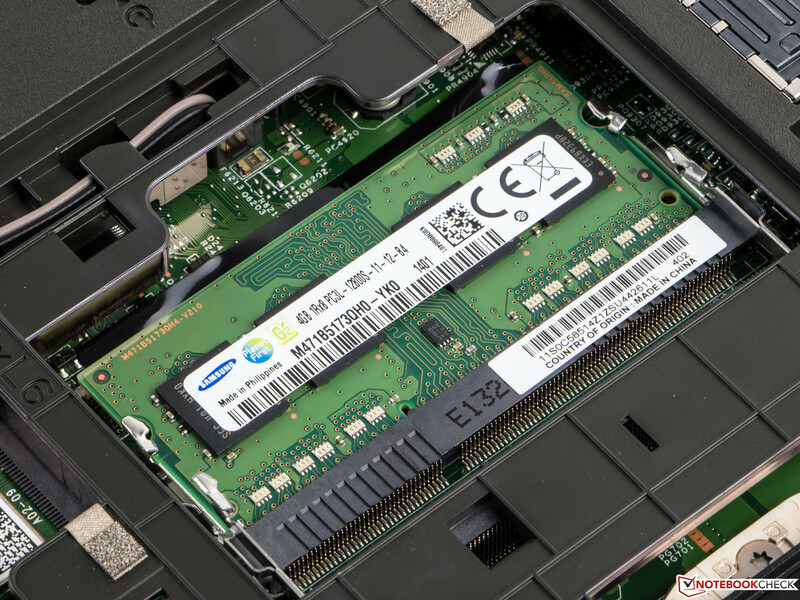 The device quickly wakes up from standby and application launches are not too long, but this impression might change if you are already used to a Solid State Drive. 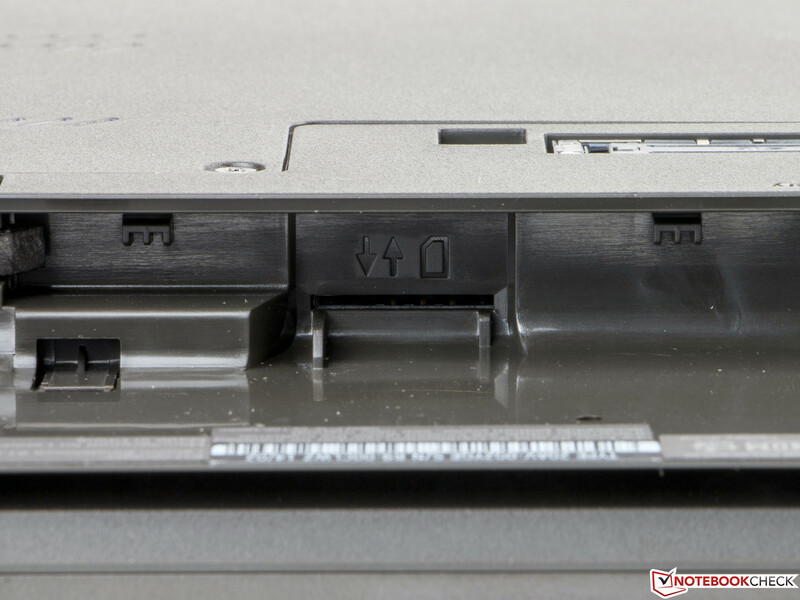 Storage for the Lenovo ThinkPad L540 is provided by a conventional hard drive with rotating discs. The integrated Hitachi Travelstar Z7K500 has a capacity of 500 GB and is comparatively fast with 7,200 rpm. 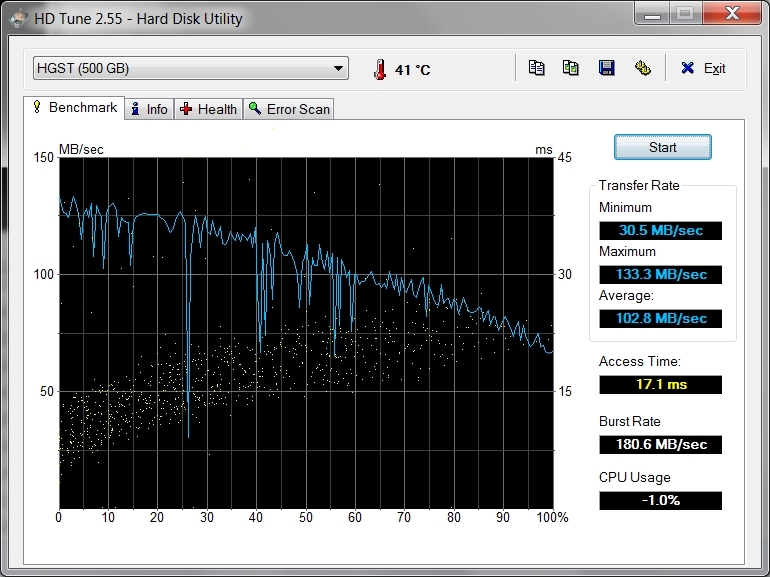 Access times on the other hand, are relatively high with 17 ms and cannot compete with a fast SSD. You can use around 420 GB for your own data after the initial setup. 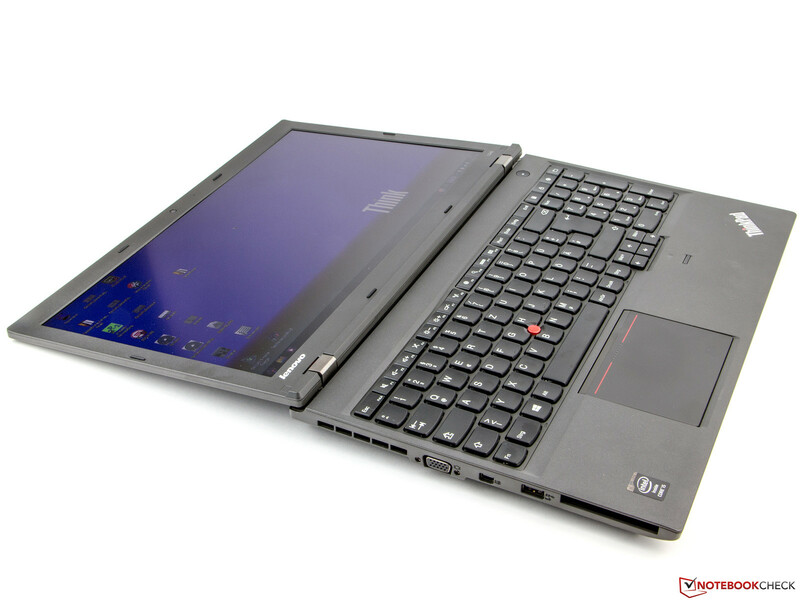 The notebook is equipped with Lenovo's Active Protection System (APS). It recognizes drops and secures the write head of the hard drive to avoid damages. You can also order a 1 TB version (additional charge of 38 Euros; ~$53) if the standard HDD is too small. However, it only works with 5,400 rpm and is therefore slower. Another option is a 128 GB SSD (plus 140 Euros; ~$194). 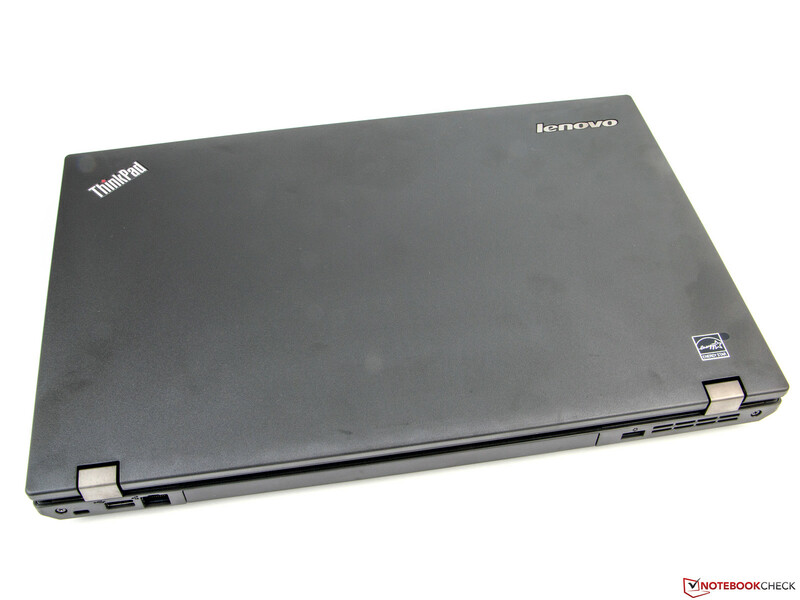 Graphics of the Lenovo ThinkPad L540 are handled by the integrated Intel HD Graphics 4600. It does not have its own dedicated memory and has to use the system memory. Our review unit only has one RAM module in a single-channel configuration, which affects the GPU performance. The clock of the HD 4600 inside our review unit is between 200 and 1,150 MHz. It is usually at a steady 600 MHz during normal Windows operation. Our benchmarks show that the system can use the full performance, and the cooling is sufficient for longer load periods without reduced clocks. The 3DMark results are comparatively weak. 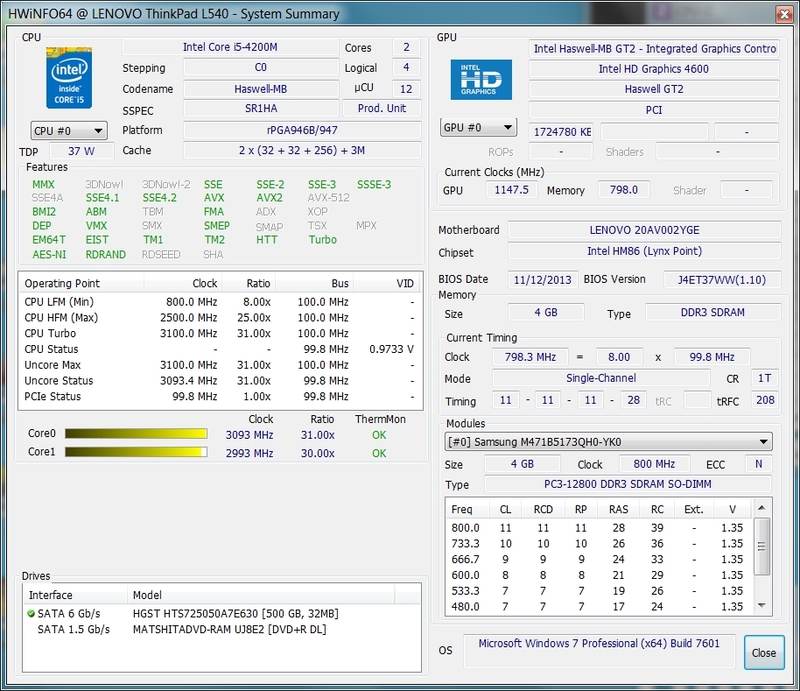 Ice Storm resulted in 36,385 points; the ProBook 650 G1 managed around 9% more (39,808 points), despite the weaker CPU. 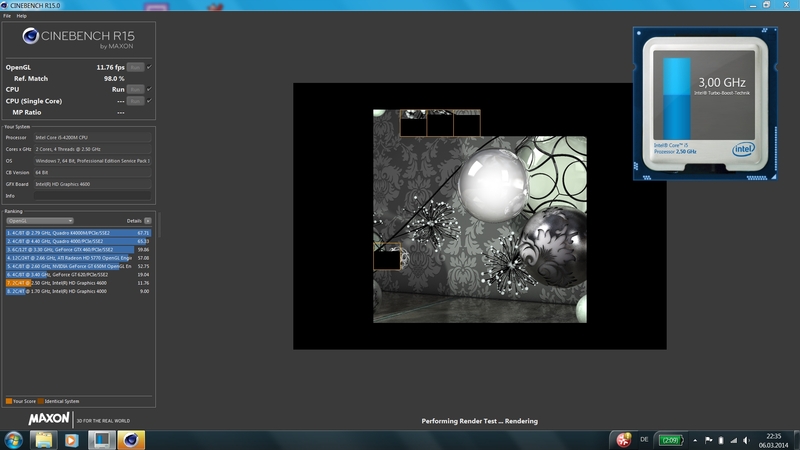 The raw GPU performance of the HP notebook is even 20% faster. Especially the older driver of the L540 affects the result. 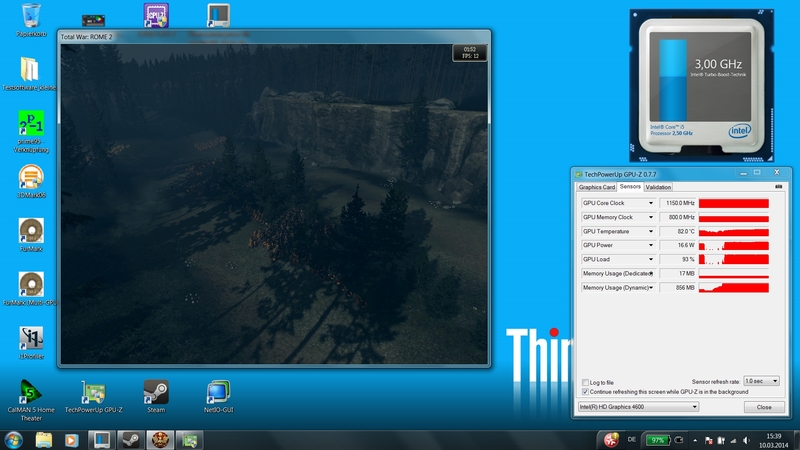 The Latitude E6540 is much better with the powerful CPU and the dedicated GPU. The performance of the GPU is limited to 600 MHz on battery power. This is however not a serious issue for an office notebook. 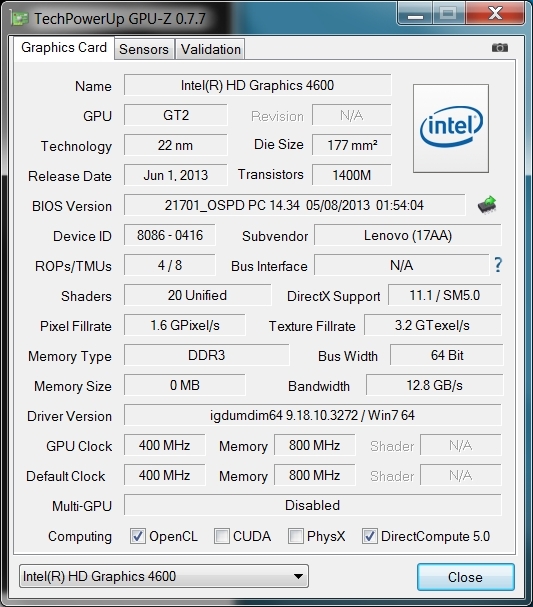 Intel's HD Graphics 4600 is much faster than its predecessor from the Ivy Bridge generation, but you should not expect any miracles. Current 3D titles like Metro: Last Light are not very enjoyable, even with reduced resolution and low details. Less demanding games like F1 2013 do not look very good, either. This is, however a business device, so we did not expect anything else. Some classic games like Solitaire are obviously no problem. Lenovo's ThinkPad L540 produces between 31.9 and 32.4 dB(A) during idle, and the fan is even completely deactivated from time to time. All you can hear in this case is the slight noise of the hard drive when you access data. All in all a good result that does not cause any criticism. You can clearly hear the DVD drive emitting up to 38.4 dB(A), but it is not too loud. It is however a bit annoying that the drive is constantly rotating when you insert a DVD or CD. We can measure a maximum system noise of 36.1 dB(A) under load, which is good and even quieter than the less powerful ProBook 650 (up to 36.7 dB(A)). The similarly equipped Wortmann Terra Mobile 1529H on the other hand is really loud with up to 47.6 dB(A). Our stress test is no problem for the L540. The Lenovo ThinkPad L540 is always conveniently cool during idle with a maximum surface temperature of 34.5 °C (94.1 °F) at the bottom in the area around the fan exhaust. All the competitors are very cool in this scenario as well. We can measure up to 40.8 °C (105.44 °F) under load on the top around the processor; the bottom is around one degree cooler. 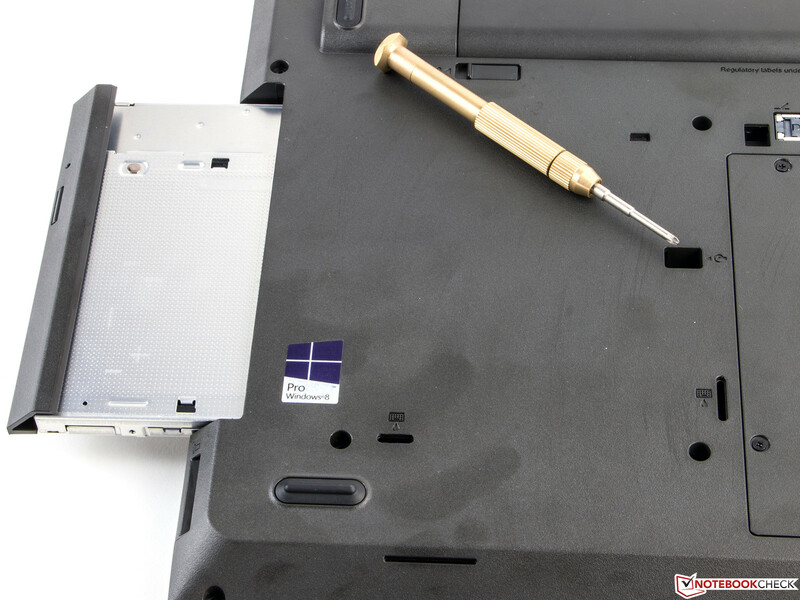 The HP ProBook (46.1 °C; 115 °F) is more than 5 degrees warmer and the E6540 even reaches 53.8 °C (128.84 °F), but it also has much more powerful components in return. However, all these results represent extreme values that are hardly reached in practice. We use the stress test with the tools Prime95 and FurMark for at least one hour to simulate constant load for the system. Both the CPU and GPU cannot not only maintain their clock over the whole period, but also utilize their maximum performance. The Haswell duo levels off at around 80 °C (176 °F), which is completely harmless. This is an excellent result when you consider the low noise levels of the cooling solution. (±) The maximum temperature on the upper side is 40.8 °C / 105 F, compared to the average of 33.9 °C / 93 F, ranging from 21.2 to 62.5 °C for the class Office. The two stereo speakers of the Lenovo ThinkPad L540 are very good for video calls. High tones are very accurate and clear, but medium tones and bass are hardly present. The speakers are clearly optimized towards communication and do a good job even with the maximum volume setting. They can also be really loud. We recommend headphones for the occasional music or video playback, the signal via the stereo jack works perfectly. 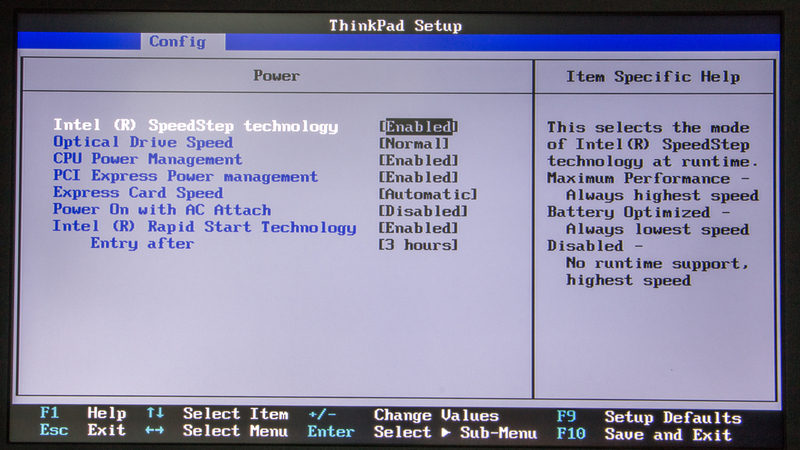 The power consumption of the Lenovo ThinkPad L540 is between 9.5 and 13.4 Watts during idle. 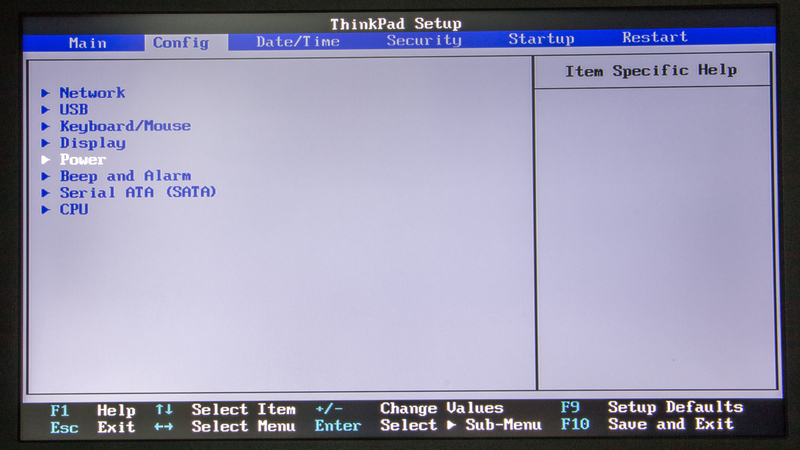 These results are okay, but the HP ProBook is much more frugal (4.6 - 9.4 W). Medium workloads, simulated by 3DMark 06, result in a consumption of 38.6 Watts and almost 50 Watts during our stress test. The power supply unit has a nominal output of 65 Watts and is sufficient for the actual consumption. It also has all the common certificates. Unfortunately, we can determine a slightly raised consumption during standby and when the device is turned off. 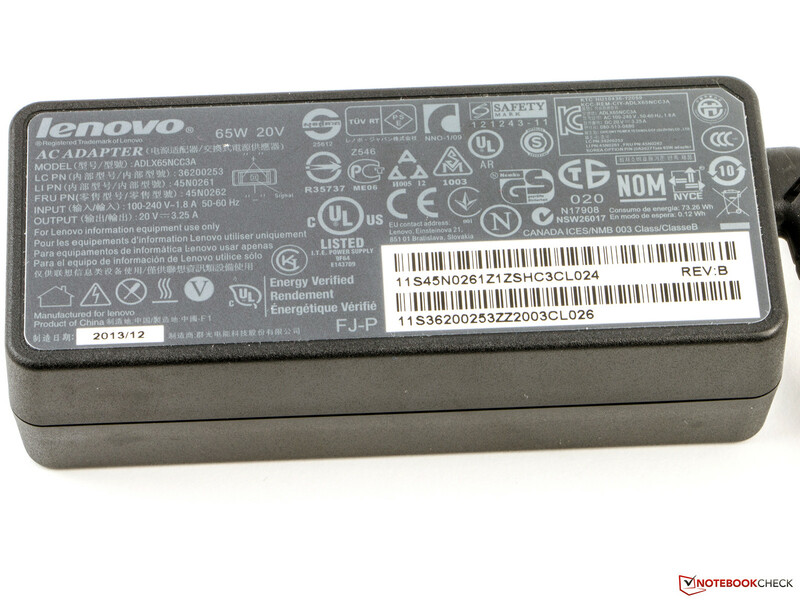 The lithium-ion battery of the Lenovo ThinkPad L540 is 56 Wh (5,200 mAh, 10.8V, 6 cells) and can be recharged within three hours. We determined the maximum battery runtime with the minimum display brightness and deactivated wireless modules. The Battery Eater Reader's test simulates the reading of a document and the notebook managed six and a half hours. The other extreme scenario, the minimum runtime, is determined with the maximum display brightness while we ran the Battery Eater Classic test. The notebook had to be recharged after 93 minutes. A more realistic runtime is simulated by our WLAN test with display brightness adjusted to 150 cd/m². WLAN is activated while a browser script refreshes a website every 40 seconds. The L540 managed almost five hours and is beaten by the less powerful ProBook 650 (55 Wh, 05:16 h) and the faster Latitude E6540 (90 Wh, 06:32 h). You can also get a larger battery with 100 Wh (9 cells, 124 Euros; ~$172) if the runtimes are not sufficient. This should be enough for a whole business day without a socket. 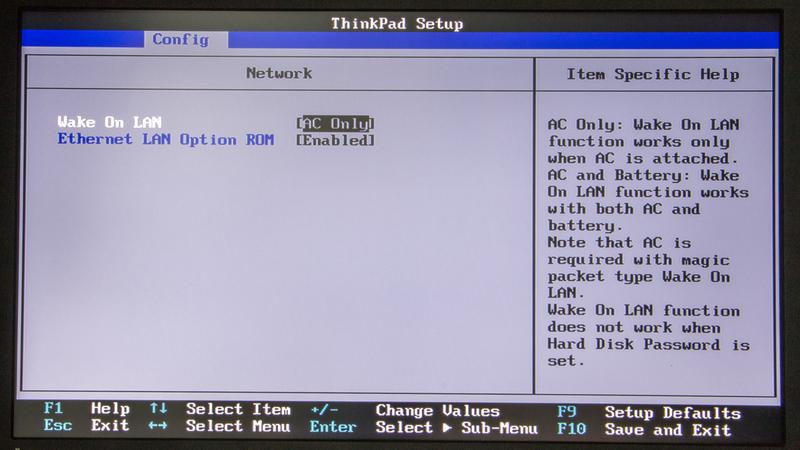 In Review: Lenovo ThinkPad L540 (20AV002YGE). 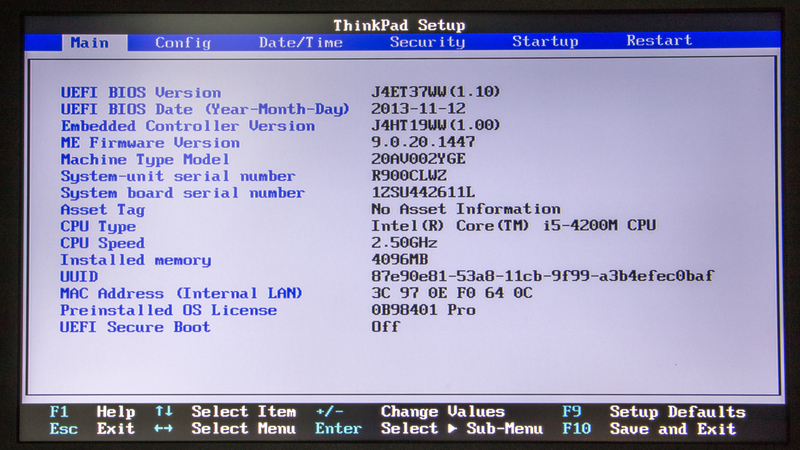 Lenovo's ThinkPad L540 (20AV002YGE) is a successful improvement over its predecessor. Especially the input devices of the business notebook are a big step in the right direction and meet the quality of the more expensive siblings. The powerful Haswell i5 provides excellent application performance, stays conveniently quiet and does not get very warm. The security features are not missing, either, and support the common features. The comprehensive port variety can be extended by a docking station. The biggest problem is the weak display; especially the limited viewing angle stability can be annoying. On the plus side, however, you can use it outdoors. Another issue is the constantly spinning DVD drive as soon as you insert a DVD. The optional flash drive would certainly improve the system performance, but the capacity is rather limited. It is also unfortunate that the keyboard is not illuminated. Still, the Lenovo ThinkPad is the better business notebook for less than 1,000 Euros (~$1383) compared to the HP ProBook 650 G1 and the Dell Latitude E6540 (in an adjusted configuration). We are especially convinced by the great build quality and excellent input devices. 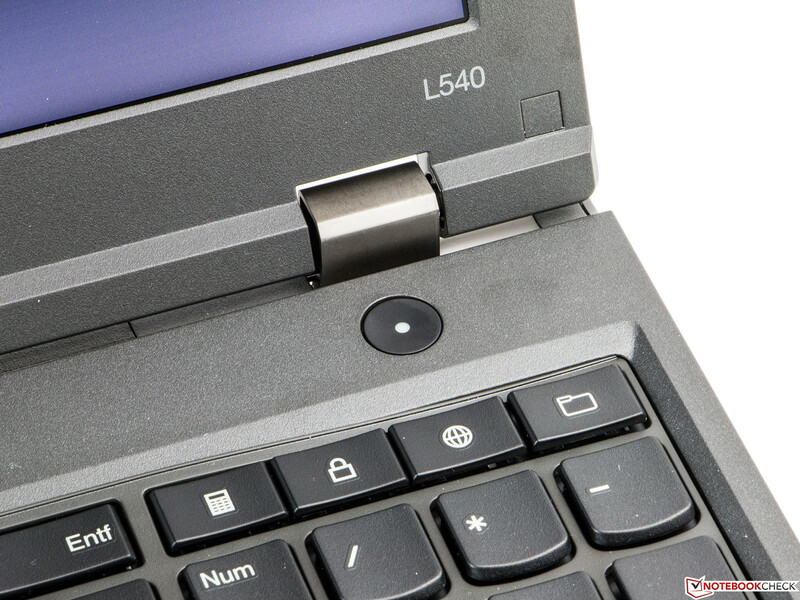 The L540 has a 15.6-inch display. A fingerprint reader is available as well. A docking port is also available. You can replace the optical drive without opening the case. The mini SIM slot is hidden underneath the battery. It is easy to open the maintenance cover. A 3G module can be integrated. The CMOS battery is easy to reach. Windows 8 is provided on four DVDs. The PSU has a nominal output of 65 Watts. It has all the common certificates. Build quality and the quality of the input devices are on the same level with the more expensive ThinkPads and can convince us. You also get comprehensive equipment. A background illumination for the excellent keyboard would have been the icing on the cake, but it had to be waived to reduce the price. Unfortunately, the display is very sensitive to changes of the viewing angle. Using the device on your lap requires occasional adjusting. The blue cast ex-works is also very annoying. HP ProBook 650 G1, Dell Latitude E6540, Fujitsu Lifebook E743 and E753.